One of your most valuable assets, next to real estate, is your car. Most people try to care for a car by investing in maintenance, not just because they want to ensure the car runs well, but because they hope to recoup at least a portion of their investment when they sell the car. Read more about the do’s and don’ts of selling your used car in Florida. 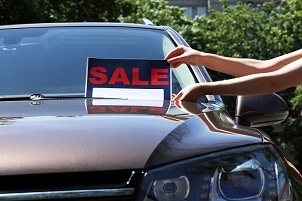 These tips may help you get the most from the sale of your car. When you purchase a car, create a file folder, which contains all pertinent paperwork. The file should include the bill of sale, title, and any receipts for maintenance and repairs. It may not seem important to keep things like receipts for oil changes because they’re just minor maintenance items. A potential buyer wants to know if the car has been regularly serviced and those receipts are your proof. Don’t make your buyer have to clean out the ashtrays, floorboards, or trunk. Take an hour and give the car a thorough cleaning. Wipe the dashboard down and clean out ashtrays. Even if you’re not a smoker, you’ve probably used the ashtrays to hold change or junk. Vacuum the floorboards and between the seats. Remove all personal belongings and paperwork. A clean car is more attractive to a buyer than a dusty, messy one. As much as you want to, or need to sell your car, don’t make it sound better than it is in your advertisement. You will be found out when potential buyers come to look at the car and it won’t be appreciated. If there are few dents or mechanical issues, let buyers know. For some, minor defects aren’t a big deal. For others, those things are deal-breaker. Don’t waste their time or yours by not writing an honest realistic ad. Be careful when selling a car to a private party. There are many scams involving car sales and often the seller can detect when things don’t feel right. If a buyer makes you feel uncomfortable, stop the transaction immediately. Gut feelings should never be ignored when it comes to financial transactions. A good way to avoid scams is to work with a business with a good reputation for paying for cash for cars in Florida. This helps ensure the paperwork is taken care of properly and you get paid without any complications. Happy selling!